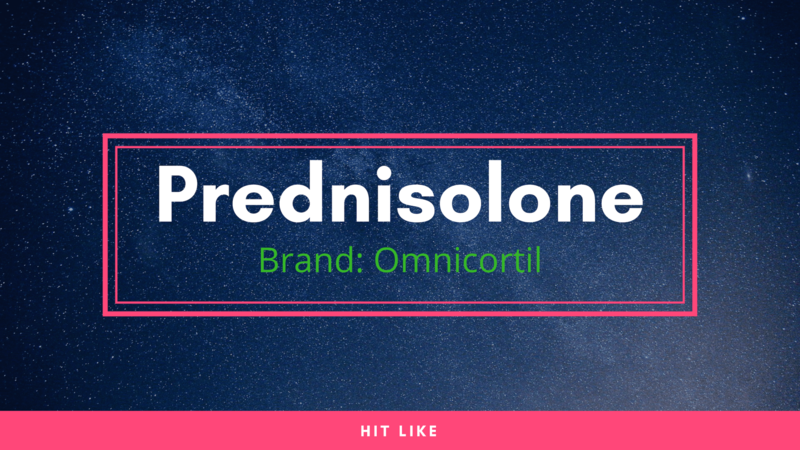 Omnacortil is the brand name of Prednisolone Which belongs to a group of drugs known as corticosteriods. It is Manufactured By Macleods Pharmaceuticals Pvt. Ltd.
Omnacortil is used in the treatment, and prevention of different conditions such as breathing disorders, lupus, and skin conditions like psoriasis. It is also used to treat symptoms such as swelling, redness or rashes on skin, inflammation etc. Omnacortil 10 Mg also aids in providing relief from some serious health issues such as asthma, leukemia, lymphoma, nephrotic syndrome and rheumatoid arthritis. Omnacortil Tablet is available in different strengths. Aminoglutethimide, carbenoxolone or salicylates, acetazolamide. Note: This is not a complete list of Interaction. This drug may interact with other products and cause side effects. Consult Your doctor. The usual starting dose is 5 mg to 60 mg daily, depending on the disease being treated. The doses are adjusted according to the response of the patient. In general, the lowest effective dose is used. Corticosteroids, which are administered in multiple doses during the day, are more effective, but also more toxic, than an alternative treatment twice the daily dose administered every morning. It is advisable to take it at the exact dose and duration prescribed by the doctor. It is generally recommended to dissolve the drug in a glass of water before use to maximize its effectiveness. The usual recommended dose for the treatment of multiple sclerosis is 200 mg Omnacortil for 7 days. Your doctor will prescribe a dose based on your medical condition. The usual recommended dose for adrenogenital syndrome is 5 to 10 mg of omnacortil tablet daily in a single dose. Prednisolone should be taken with a meal to reduce irritation of the stomach and intestines. 1. What is Omnacortil Tablet? This product contain prednisolome which belonging to the group of medicines called corticosteroids. It is essentially a relief of inflammation in the human body and is also used to treat skin conditions such as asthma and arthritis. 2. What is Omnacortil used for? This medicine is used for the treatment, prevention and control of conditions such as: Allergies, Asthma, Lymphoma, Nephrotic syndrome, Idiopathic Sarcoidosis, Idiopathic Thrombocytopenic, Chronic lymphatic leukemia, Multiple sclerosis, Osteoarthritis Psoriasis, Hemolytic anemia. 3. What are the side effects of Omnacortil Pills? Common side effects: nausea, headache, vomiting, excitement, thinning of the skin, decreased bone density, weight gain, mood swings, upset stomach, behavioral changes, elevated blood sugar levels. More information can be found above. 4. How to use Omnacortil Tablet? Take this medicine at the dose and time recommended by your doctor. Swallow it as a whole. Do not chew, crush or break. 5. How does Omnacortil Tablet work? This drug contains mainly prednisolone active salt. This belongs to the family of medicines called glucocorticosteroids. Prednisolone can inhibit leukocyte infiltration at the site of inflammation, disrupt mediators of the inflammatory response, and suppress humoral immune responses. 6. Is it safe to take omnacortil during pregnancy? The tablet is generally considered safe for use during pregnancy. Care should be taken before taking this medicine to avoid the occurrence of side effects. 7. Is it safe while breastfeeding? This drug is known to be excreted in small amounts through breast milk. Use this medicine only when clearly needed if other safe alternatives are not available. 8. Is it safe with alcohol? Patients are advised not to consume alcohol, as in some cases this can cause excessive sleepiness or decrease the effectiveness of the medicine. Therefore, it is recommended to abstain from alcohol during the administration of these tablet. 9. Can I drive after consuming Omnacortil? In some cases, these tablet may cause drowsiness and dizziness. Therefore, patients are advised to avoid driving after consuming these tablets. 10. Is omnacortill a habit that forms the drug? Patients taking this medication reported a pattern of habit formation. It is advisable to read the label carefully before administering any medication. 11. What happens if I miss a dose of Omnacortil? It is advisable not to lose the dosage and, even if you miss it, be sure to consume it as soon as you remember. Do not consume the missed dose if it is time for the next dose. 12. What happens if I overdose with Omnacortil Tablet? In case of overdose, you may experience symptoms such as headache, skin peeling, acne, increased heart rate, increased appetite, increased sweating, menstrual problems or few other symptoms. In these cases, treatment should be stopped and the doctor should be consulted immediately. 13. How to store Omnacortil? Omnacortil is recommended to keep the medication in a cool, dry place, away from moisture, direct heat, and sunlight. It is not recommended to freeze or refrigerate the tablet. It is advisable to protect it from children and pets.